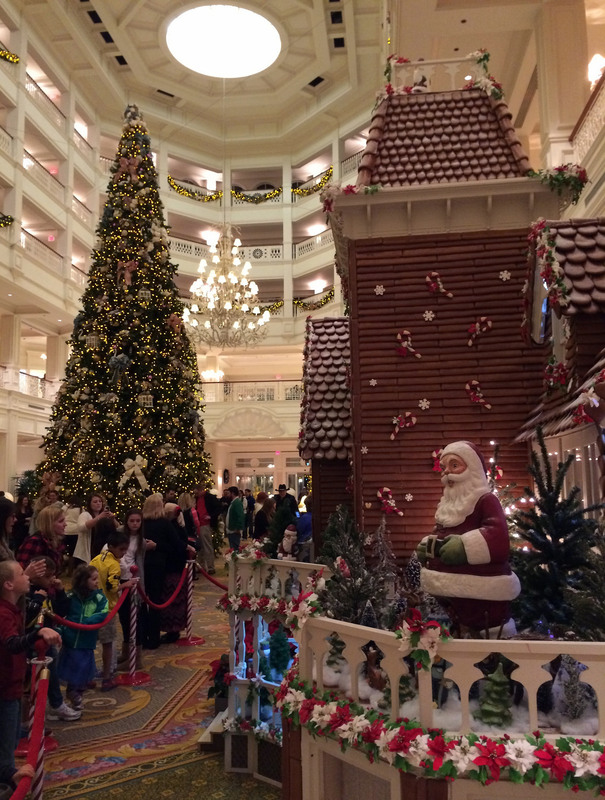 Perhaps the highlight of the holidays at Disney World is Mickey’s Very Merry Christmas Party (MVMCP). 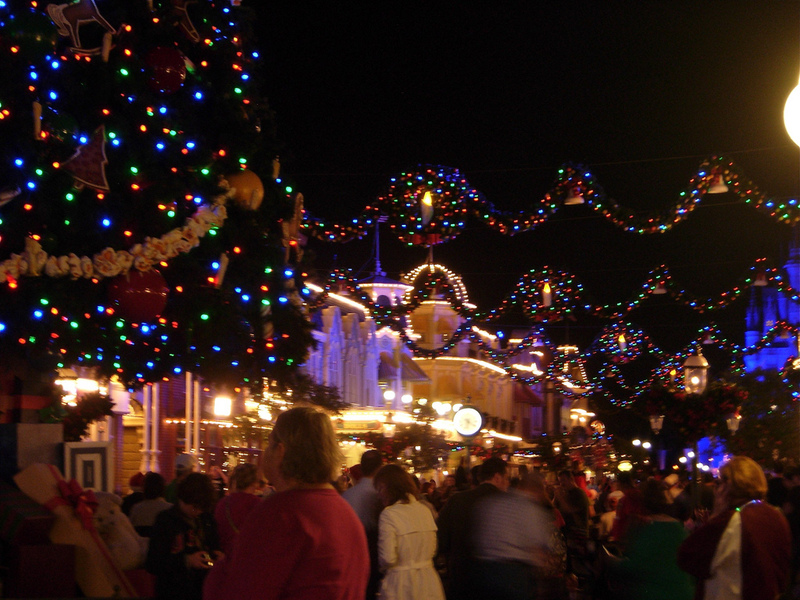 There’s just nothing like seeing the park decked out in Christmastime décor. It’s a whole new level of magic, to be experienced. Much like Mickey’s Not So Scary Halloween Party, MVMCP is a hard ticket event held on specific dates throughout the holiday season. 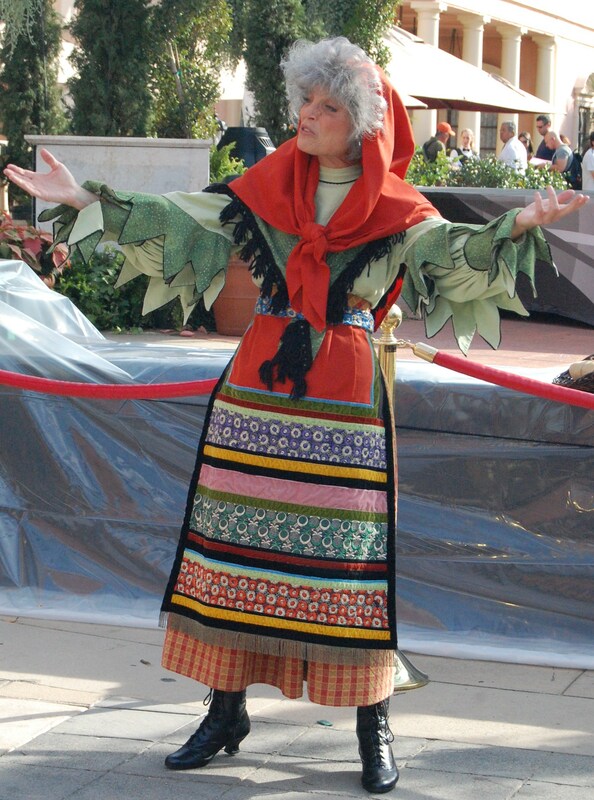 The parties begin at 7:00 p.m. with cast members allowing entrance as early as 4:00 p.m. for party ticket holders. 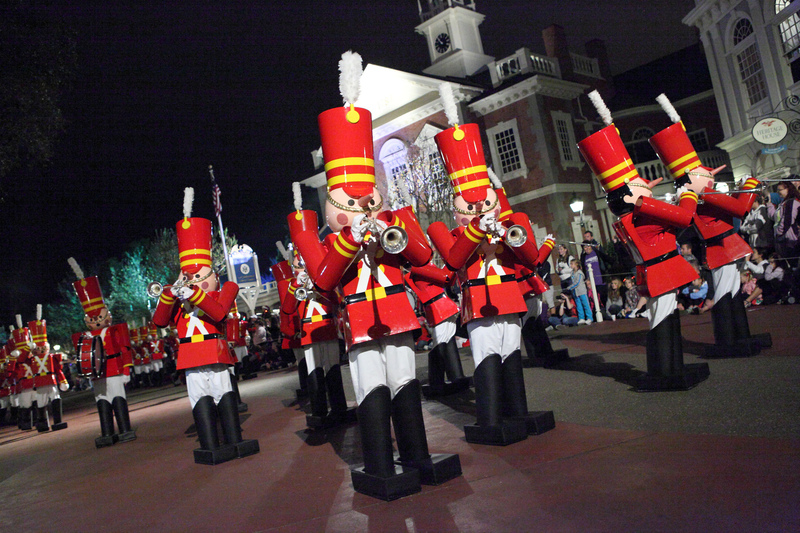 Dates for MVMCP are: November 8, 10, 12, 13, 15, 17, 19, 20, 29; December 1, 3, 4, 6, 8, 10, 11, 13, 15, 17, 18. Many days, particularly weekends sell out, so it’s a good idea to get your tickets early. Tickets range from $74-82 and can be purchased here. 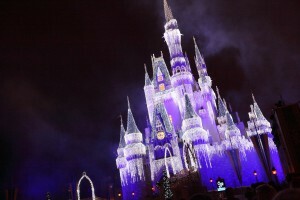 The Frozen Castle Lighting happens nightly at 8:00 when Queen Elsa uses her magic to cover Cinderella’s Castle in “ice.” What used to be the Fairy Godmother Castle Lighting, but has since been submerged by Frozen-mania proves to be as magical as ever. 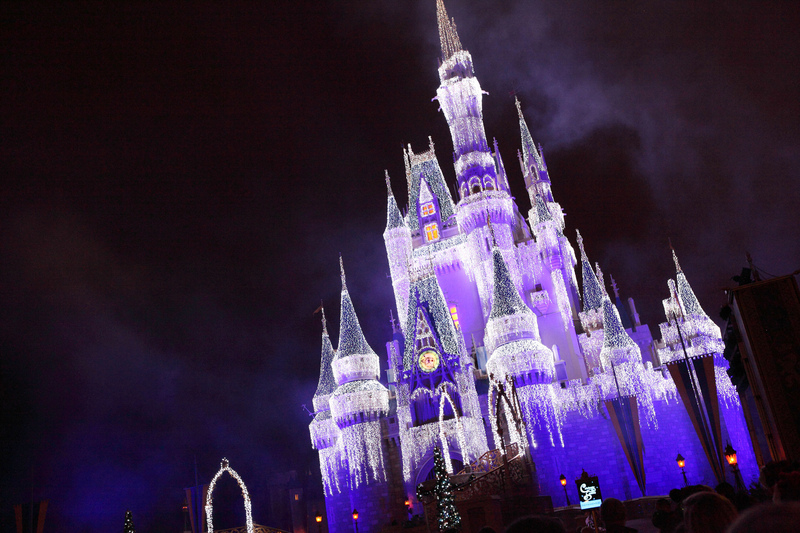 The castle looks truly beautiful covered in over 200,000 lights. It makes an amazing photo op and is literally the icing on the cake to a holiday themed day at the Magic Kingdom. 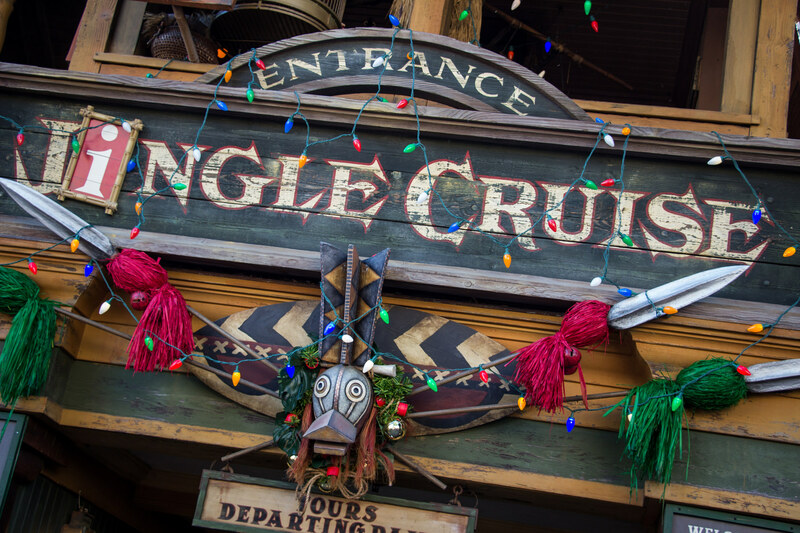 Jingle Cruise is a holiday overlay of the world famous Jungle Cruise. 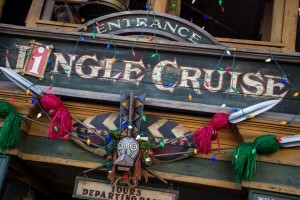 Unlike more traditional holiday overlays with Christmas and holiday themed décor placed on and around the ride, the Jingle Cruise is actually a full change to the Jungle Cruise story. In this version, skippers are homesick and want to celebrate the season back home. 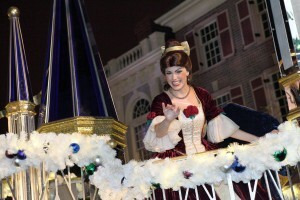 Their entire spiel is different and is the primary component to the overlay as opposed to external decorations. The boats have Christmas themed names and there are some decorations added to the queue. 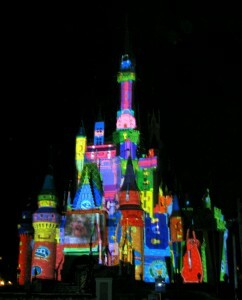 This is a light experience with holiday styled projections shown onto the castle. It happens at blank o’clock and is best viewed closer up to the castle. 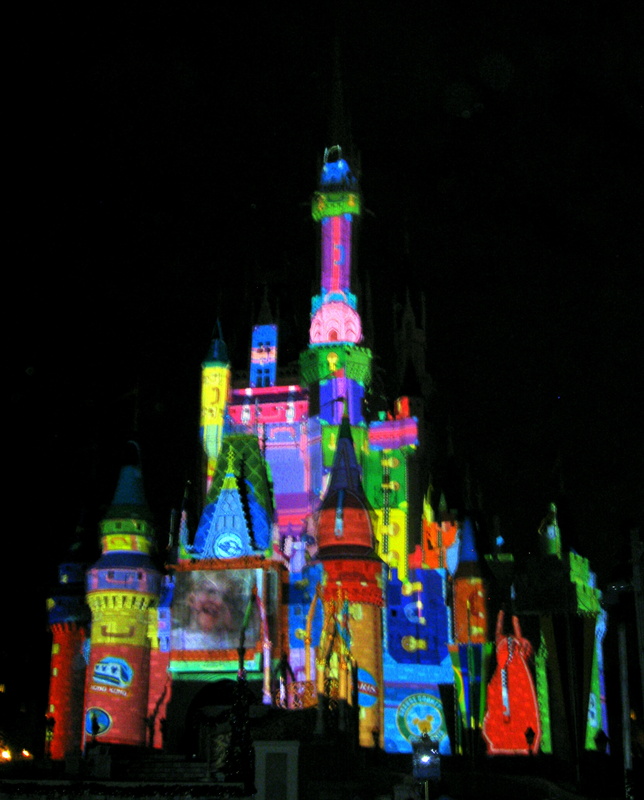 A good rule of thumb is that anywhere within the realm of the partners statue is a good or approximately that far from the castle will provide the best view to see the projections. 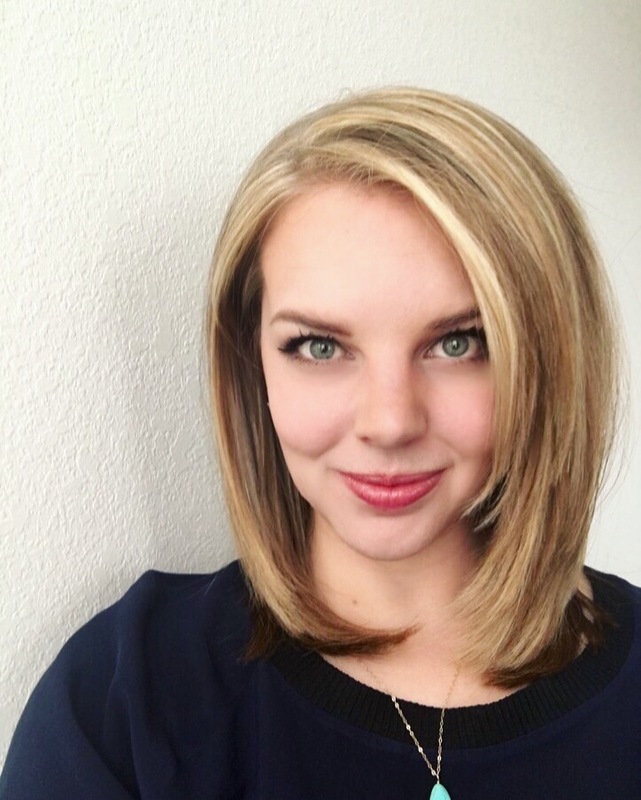 Wishes with a holiday twist! This is seriously a magical end to the [holi]day. (See what I did there?) 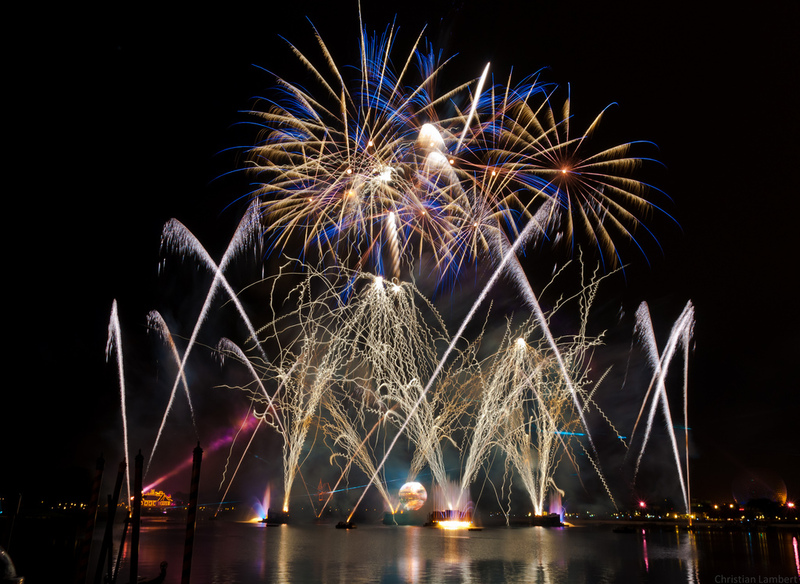 The fireworks spectacular lives up to the drama and is every bit as grandiose as the original show, but the additional holiday inspired music and lyrics really take it over the top. The way the show keys in to the feeling of the holiday and the words of the music is very impressive. 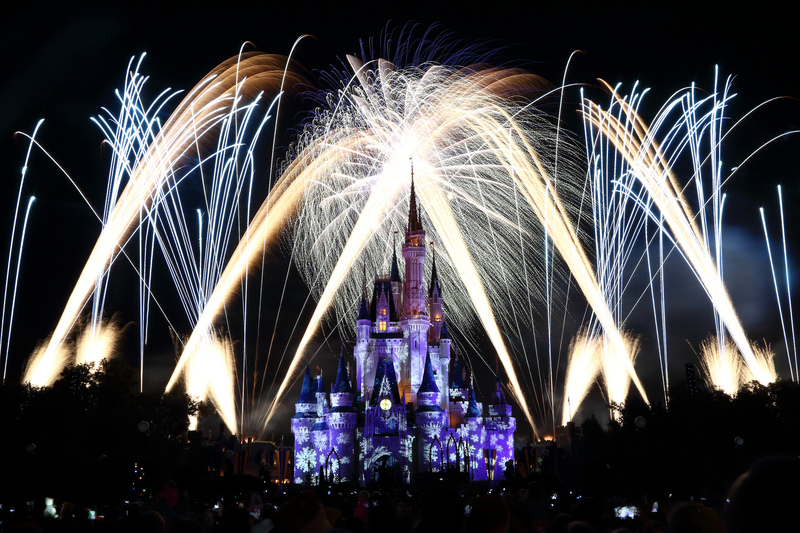 The fireworks are shown nightly, but include perimeter blasts during MVMCP. This is a retelling of the Christmas story with a guest celebrity narrator and a 50 person live chorus. The show is accompanied by a 50 piece orchestra and included traditional Christmas music. 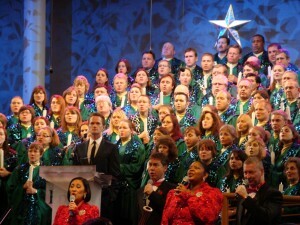 The Candlelight Processional is one of the most popular holiday attractions. The narrator rotates throughout the season much like the Eat to the Beat headliners, and the show can really pack up with a particularly popular one (Neil Patrick Harris). 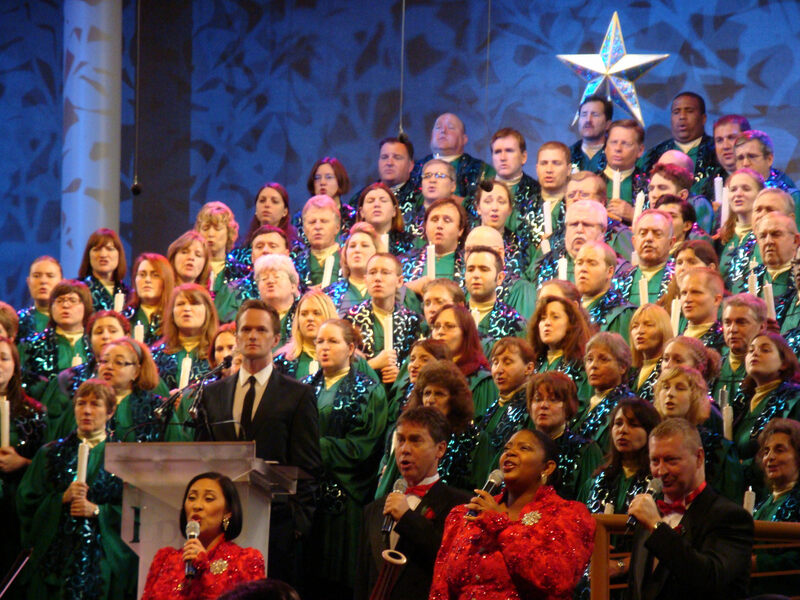 TIP: Disney World offers Candlelight Processional dining packages that work the same as Fantasmic dining packages. If you are unfamiliar with this process, the package includes a set menu at specific dining locations in Epcot and reserved seating for the Candlelight Processional. Simply make a reservation at any of the CP restaurants and upon payment of your meal you will receive special fastpass tickets to a roped off viewing area. It’s a slight premium, but is worth it. This is one of my favorite holiday activities at Disney World. 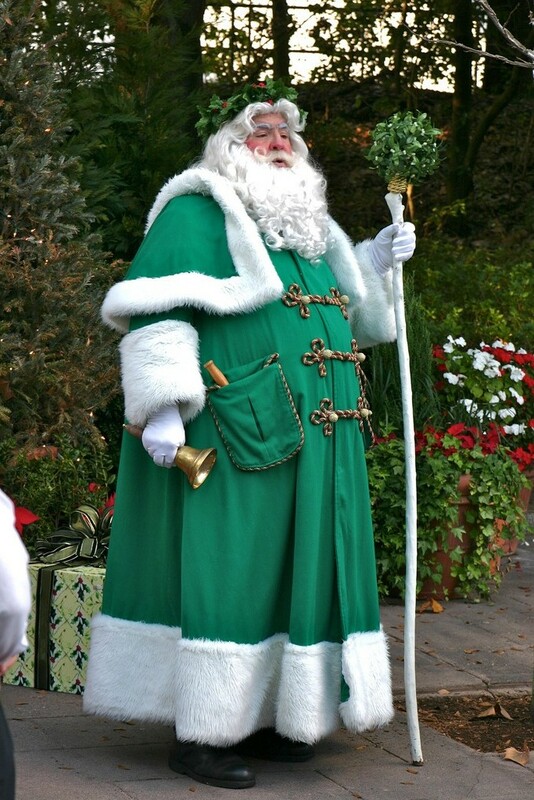 Each of the country pavilions around the World Showcase have their own version of Santa or other storytellers explaining holiday traditions from that country. It’s fun to walk around the world so to speak and listen to the stories. My favorite storyteller is in Canada, though many fans find the storytellers near the Mexico side of the World Showcase to be more compelling. Whichever end you start at, be sure to use a times guide to catch all the storytellers. 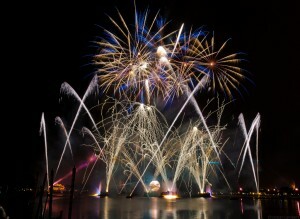 Similar to Holiday Wishes, Illuminations: Reflections of Earth Holiday is the holiday themed tag to the traditional show. This show is spectacular and really captures the essence of holiday celebrations around the world. The musical finale of “Let There Be Peace On Earth” is seriously unlike any other you’ll see. 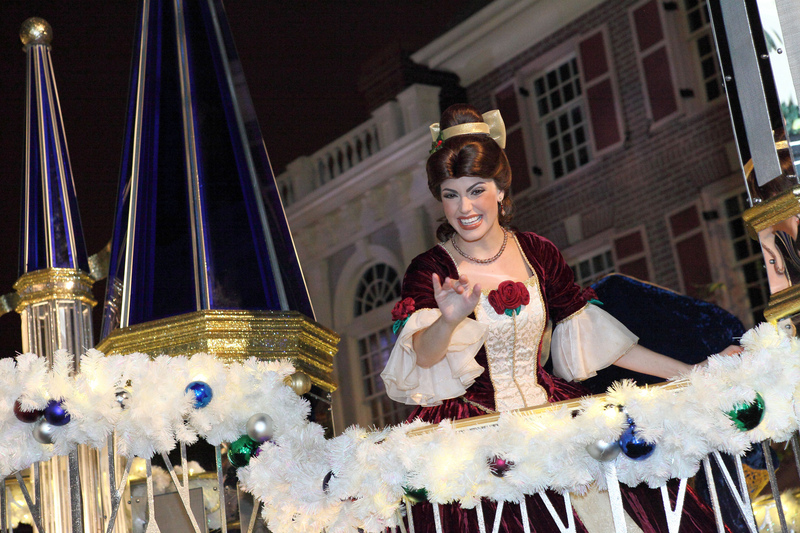 The nighttime epic is enhanced by this music and holiday celebration. TIP: while many people line up in advance for Illuminations, I find that it’s one of the nighttime shows that has good viewing from many locations. Take your time to stroll around the World Showcase and just stop to watch when the show starts! –Pro-Tip: The Japan Pavilion has a stairway that many think is for cast members, but it is open to the public. Head there for a killer view! 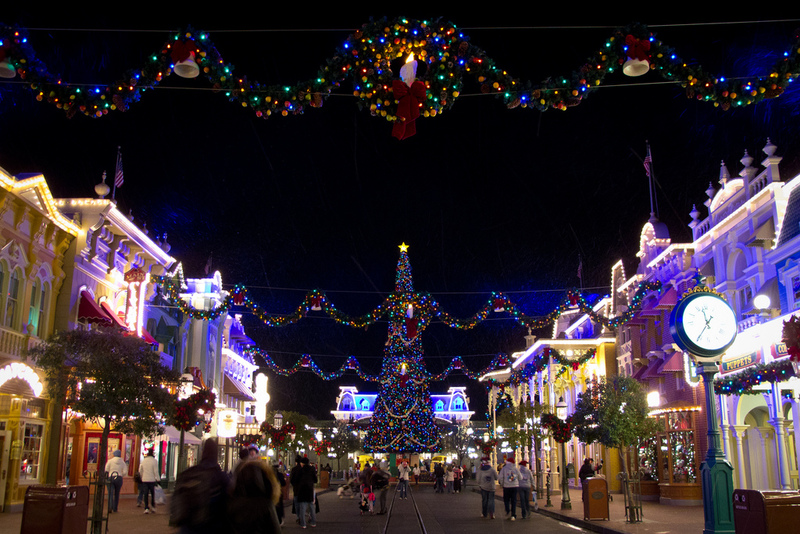 This classic Disney holiday feature takes Christmas lights to a whole new level. It’s a nightly light and music display set across the Streets of America in DHS. Its roots are in Arkansas with the Osborne family. Mr. Osborne founded the Arkansas Research Medical Testing Center in 1968, the success of which allowed him and his wife, Mitzi to purchase a large estate. In 1980 they had a daughter named Breezy. Breezy asked her dad to decorate their home one Christmas, and of course he complied. Well, each year it got bigger and bigger, eventually boasting upwards of 80,000 lights. Eventually the display got so large it caused traffic congestion from onlookers during the Christmas season. Neighbors of the Osbornes filed lawsuits citing unreasonable times to get to the corner store and fearing vehicular accidents. 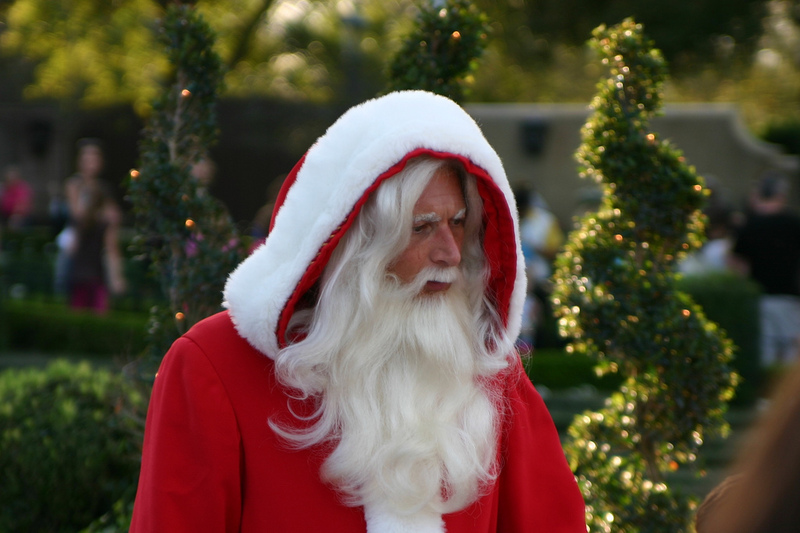 The court ordered an injunction of the display and it was shut down in 1995. The ordeal caught national attention and the eyes and ears of Disney World project director John Phelan. He contacted Osborne’s attorney and eventually Osborne himself, and the Disney company acquired the display in the winter of 1995. It has since been a staple to the Disney World holidays up until this year. 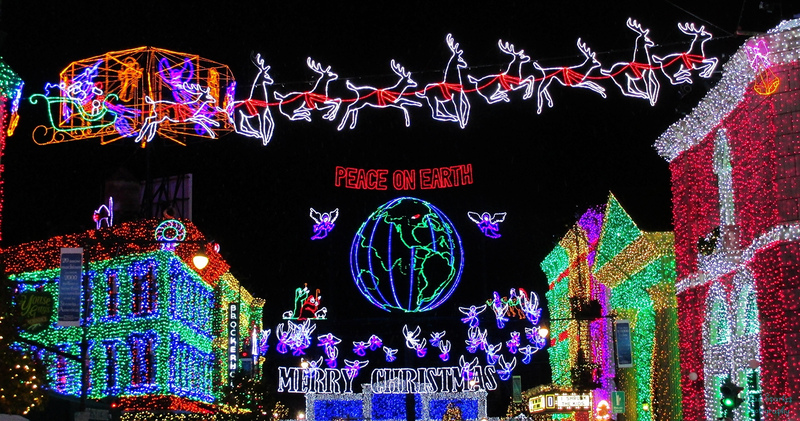 2015 will be the last year you can view the Osborne Family Spectacle of Lights due to the expansion of Toy Story Land and Star Wars Land in DHS. It will be crowded. While the lights turn on at 6:00, wait until 8:00 if you can. You can also stay after the park closes. The lights stay on for about 30 minutes longer, and you don’t have to leave until the lights are out. All resorts are beautifully draped in Christmas decorations, but the real stars are the deluxe resorts. 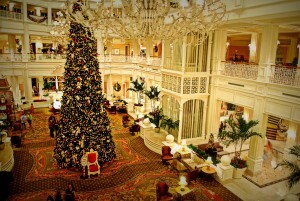 The Grand Floridian has a stunning Christmas tree in the lobby and a life-size gingerbread house made of real gingerbread. Each year the house has a different Disney theme, and you can purchase gingerbread flavored treats sold inside the house. 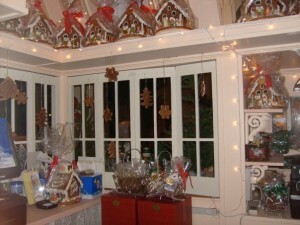 Aside from being unbelievably cool, the gingerbread house makes the entire lobby smell amazing. The Boardwalk resort has a life-size gingerbread carousel, often displaying little Easter eggs and lots of Disney characters. It can be really fun to take a self-guided resort tour to see all the different holiday decorations. 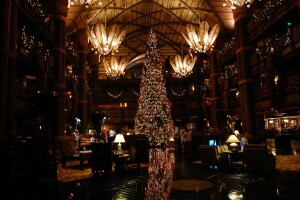 Each hotel has unique Christmas trees and other decorations that fit within the theme of that resort. This is one of my favorite things to do and is a great activity that doesn’t require the cost of a park ticket. I always appreciate comments and sharing. 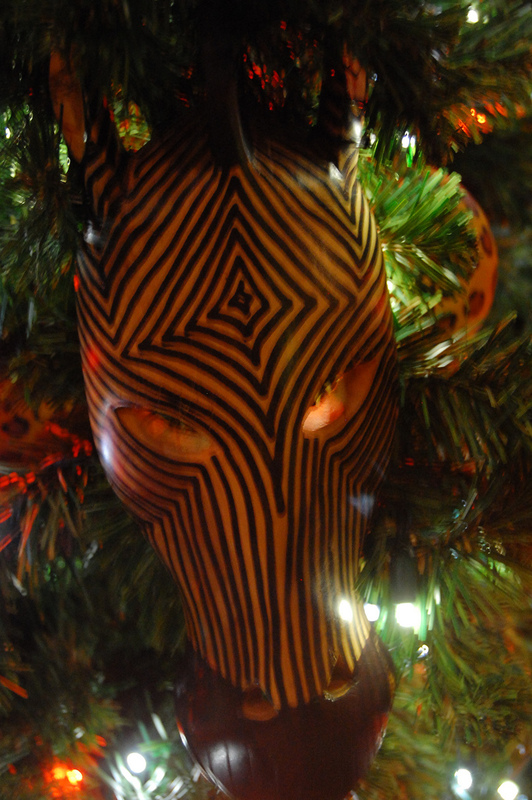 Let me know your favorite Disney holiday activities and be sure to like E.A.R. on Instagram @everafterreport.